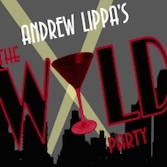 Based on Joseph Moncure March’s 1928 poem of the same name, Andrew Lippa’s The Wild Party tells the story of a vaudeville dancer named Queenie and a vaudeville clown named Burrs--her passionate and violent lover. Queenie is fed up with the life she lives and the pain Burrs puts her through, so she decides to throw the party to end all parties to shake things up a little. Burrs agrees and they invite a whole slew of colorful characters to their home. Queenie decides to make Burrs jealous, and when Kate (a high class prostitute who has her eye on Burrs) shows up with a mysterious man named Mr. Black, Queenie goes a little too far and begins to fall in love. After a long night of decadence begins to reach it’s peak, Burrs’ jealousy becomes too much for him and he turns to violence, which eventually leads to his own demise. Queenie is left to decide what is next for her in this violent and tragic 1920s world.